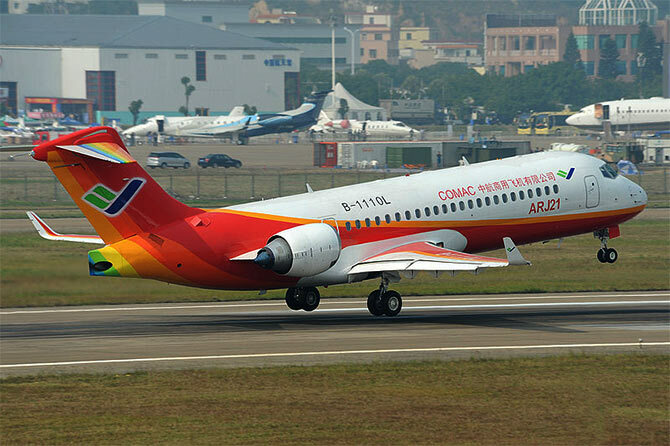 Chengdu Airlines said the ARJ21 has a lower cost per seat than similar models of Airbus and Boeing models. 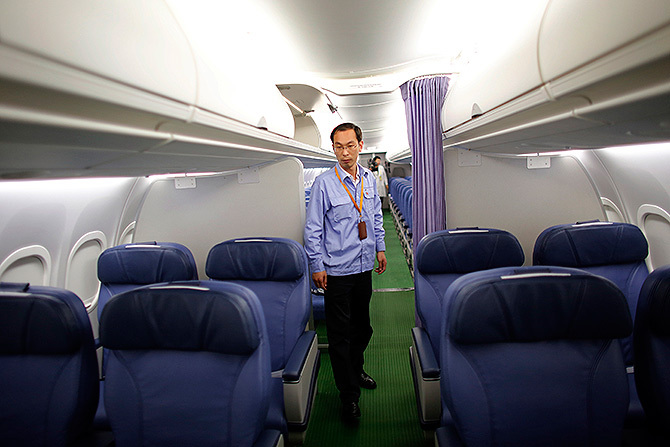 China's first indigenous commercial jet made its debut flight on Tuesday carrying 70 passengers with the Communist giant seeking to end the monopoly of big western players like Boeing and Airbus. 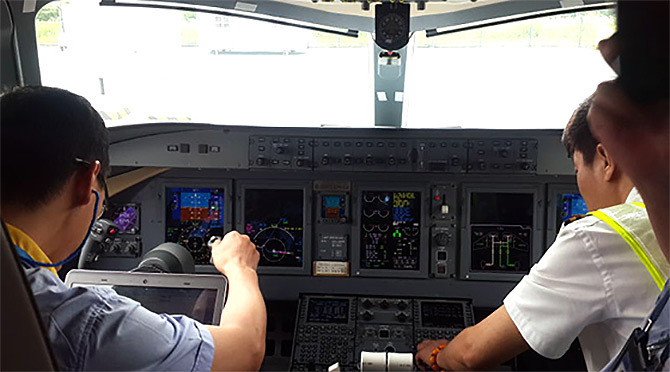 The jet ARJ21 took to maiden flight from Chengdu city in southwestern China's Sichuan Province to Shanghai, marking a landmark success, state-run People's Daily reported. IMAGE: Jet was delivered to Chengdu Airlines in November last year. 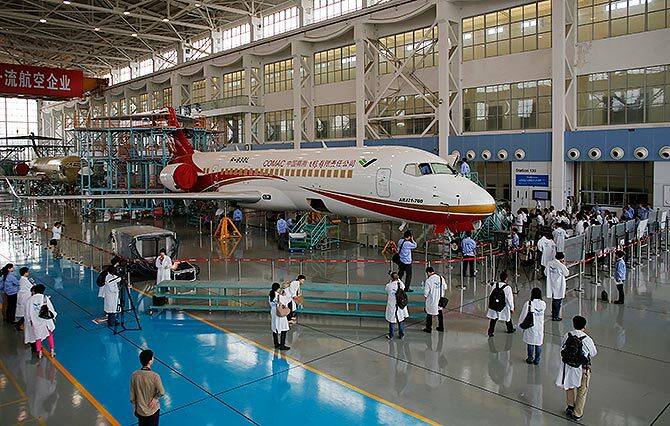 The jet manufactured by Commercial Aircraft Corporation of China (COMAC), completed the maiden flight with a total of 70 passengers mostly journalists and television crews. The jet was delivered to Chengdu Airlines in November last year. IMAGE: COMAC said it received more than 300 orders from 19 airlines. 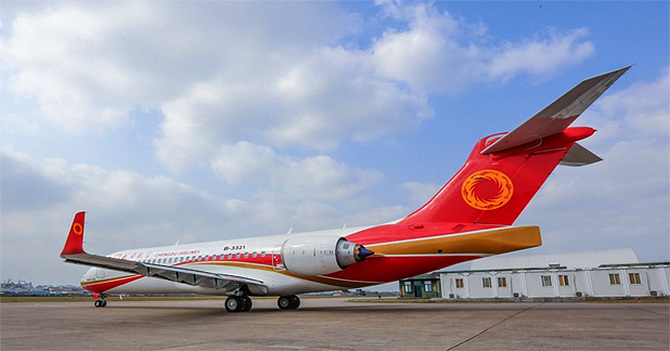 The Chengdu Airlines said the ARJ21 has a lower cost per seat than similar models of Airbus and Boeing models. More jets are expected to be used to fly on seven routes, including Chengdu-Shenzhen, Chengdu-Changsha and Chengdu-Guizhou amongst others, the report said. COMAC said it received more than 300 orders from 19 airlines, including three from the Republic of Congo. The plane is China's first regional jet to be manufactured according to international standards and it is expected to compete with France's Airbus 320 and America's Boeing 737, the report said. It was put through six years of grueling tests before being awarded airworthiness certificates from the Civil Aviation Administration of China, and the US Federal Aviation Agency. IMAGE: China is still seeking to break into big league of aviation technology. Despite being a manufacturing power house, China is still seeking to break into big league of aviation technology. While it mostly uses Russian made engines for its military jets, it has for the first time come up with a commercial airline as Beijing seeks to achieve major breakthroughs in high technology to reorient its slowing down economy.